Time for Mary to get her groove on! 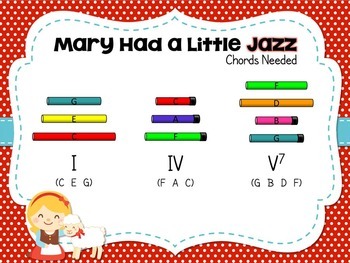 In this fun take on Mary Had a Little Lamb, expose your kids to the wonders of the 12-bar blues, I-IV-V chord accompaniment, and blues lyric form. 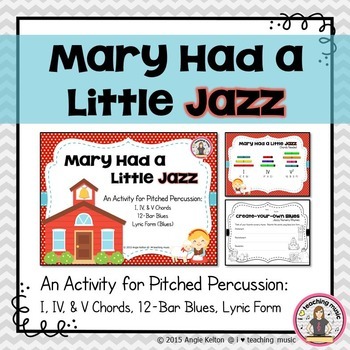 Perfect for any pitched percussion you have including (but not limited to) xylophones, metallopones, glockenspiels, chime bars, hand bells, and Boomwhackers®. 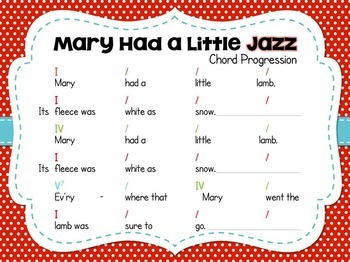 Students will sing and play accompaniment to the traditional nursery rhyme and then compare/contrast their experience with the jazz-blues version. 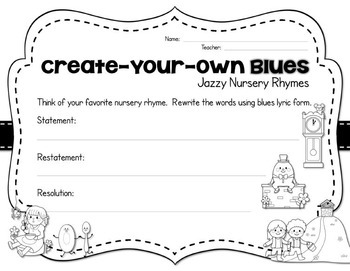 Includes original blues song, accompaniment mp3's, and create-your-own blues worksheet to get your kids thinking creatively.